Day 20!!!!! No Phone!! The Resistance Begins!! So let me explain. I was helping a good friend move some things out of her apartment today with her other friend and some of it was actually coming to my house. So we moved it in to the car and we headed to my house. I had a limited amount of time because of another appointment as well as my 20th day of my yoga challenge. Now this is why doing yoga is challenging. The minute your mind starts to want to go to that place where you panic, you see a reflection of yourself and you get to stop it before it begins. I let it go and trusted that I would make it to my appointment as well as my yoga class. Well all this sounds great, however, right when I got inside of the house and had my momentum going to complete the next thing, I realized that my phone was in the car that had just left. I ran back downstairs and almost started to run after the car, and then I stopped and caught myself. I knew that I would find my good friends later. But then, that little nagging internal voice started to gnaw at me and try to raise my blood levels!! What if you miss an important call? What if there is an emergency and you are needed? What if your mother or father need you? This went on for about 5 minutes, and then I caught myself again. I am resourceful, I will figure it out, do not worry. My phone went missing before yoga, what a blessing. I was able to go into this room and let it all go knowing that it would surely all work out later on this evening. After class, I took a short train ride home and arrived back at my humble abode. I have a little gadget that allows you to make calls from your computer. I looked for it everywhere and I could not find it. I was going to call her and find out where she and her friend were so that I could go and get my phone. Then I decided that I would go downstairs and ask the neighbor if I could use their phone. She was super sweet and nice and allowed me to call my friend, however, she did not pick up. I left a message and I sent a text. The entire time this is all happening, I am watching my mind and asking myself, is this really all that serious?Not having my phone on a Friday night!! Will I die? No. Not even close.Then came a moment of instant bliss. I could track my iphone online just to see geographically where it is!!! Yes this is true, I am not making this up! This is truly magic in every way. 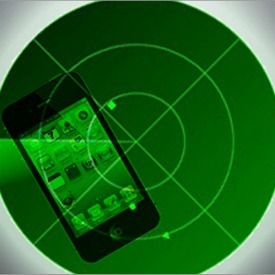 An iphone can be tracked if you have "mobile me" or "cloud". Why my brain sent this info to me then I do not know, however, it made me happy!!! !So minutes ago I tracked my iphone down to the exact street!!! The phone is exactly where we were when we moved all of the things. The question is, is it in the car or in the apartment? That will come to the light soon.